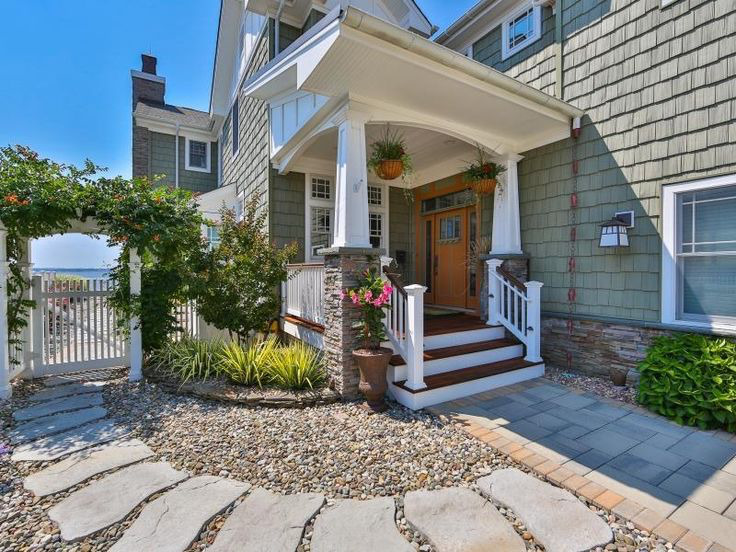 Is the walk way leading up to you front door, clear of overgrown landscaping or toys? Is the route to your front door clearly defined? This may be necessary if your front door is located on the side of your house or a distance from your driveway. 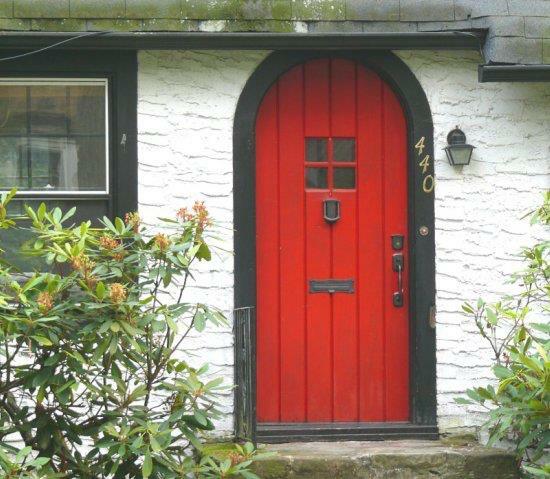 Adding a change of color to the front door is the simplest and least expensive way to give your exterior a makeover. 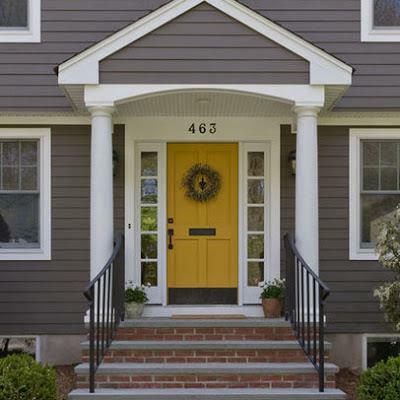 Tape the largest color samples you can find to your door and step back, does this color compliment the architecture and color of the rest of your house? Will the color you chose work well with New Jersey's four seasons? A semi gloss or gloss paint will be the easiest finish to clean. You may need 2-3 coats over a good primer for your chosen color to really pop. 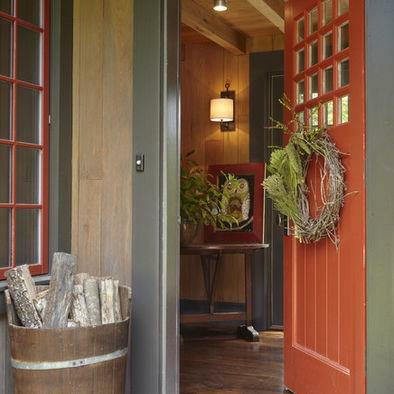 Here are some of the most popular colors: RED - you can't go wrong with a deep rich red. This bold color looks great with homes in the white, blue or grey families. Again, using high gloss will make cleaning easy as well as extra eye-catching. A deep rich blue or eggplant, at first it may seem too dark, but it doesn't lose its color. An unexpected color that will work great on a traditional home as well as a modern house. This color looks fabulous with houses of a darker charcoal color. It is a bold, fun statement. You may think this is not a very interesting or creative color. 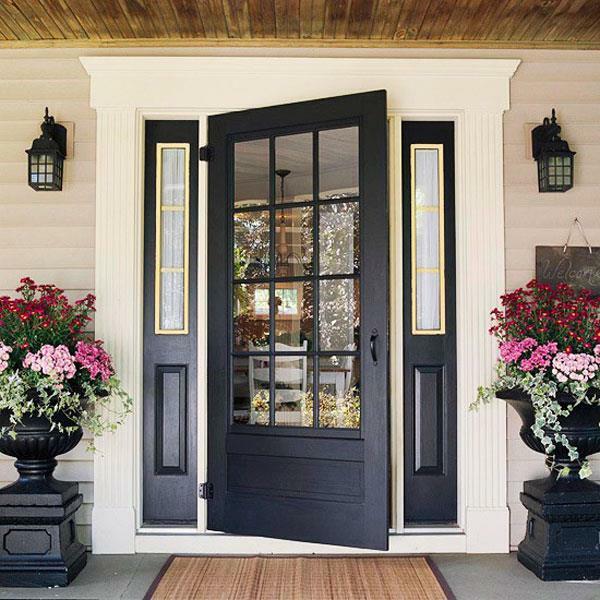 However, a black door stands out and commands attention and looks great with just about every architectural style. After a long day at the office how refreshing would it be to come home to a sun kissed yellow door. Yellows can run the gamete from a harvest yellow to a marigold yellow. Now go hold those samples up and get daring! Your front entrance will look as good at night as it does during the daylight with accent lighting. 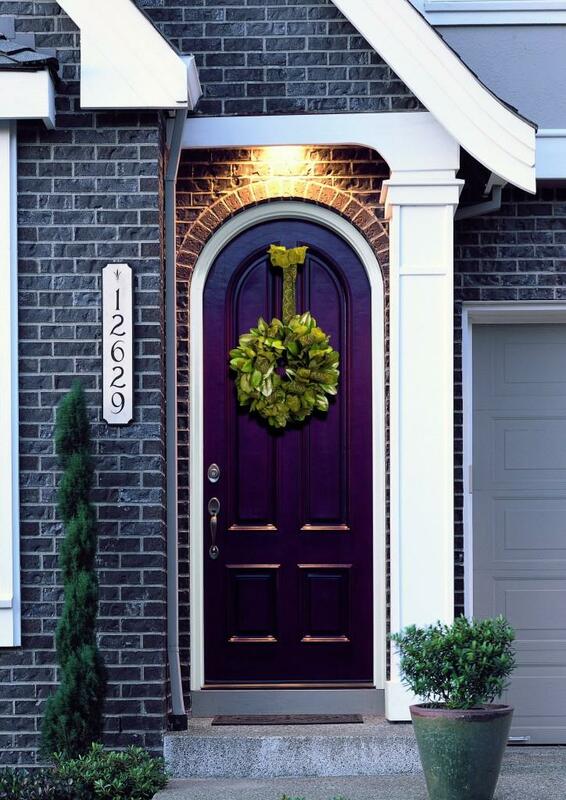 Lighting your entrance can be broken down into 3 areas of consideration. Task lighting, security and ambiance. Lead guests to the front door with pathway lighting. Use soft down lights for a warm welcome. Avoid a runway effect by placing your lights scattered in gardens or in a more random pattern. 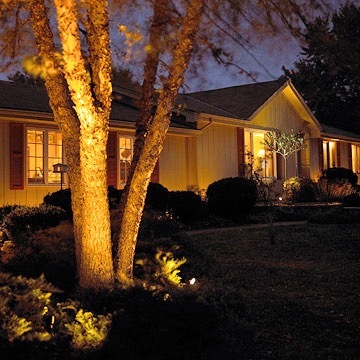 Ambiance lighting adds drama to your yard and front entrance. Use spotlighting to create focal points of interest. Direct spot lights on the front of your home on either side of the front door. Highlighting a tree or other focal area increases the interest as lighting accentuates textures and remember to face beams away from windows or neighboring homes. Task lighting is your front porch light. You will find a wide range of styles from which to choose, be sure to take clues from your homes architecture. This is where your personality can really shine. Decorative touches can be wreaths or other items which help get in the spirit of a holiday or season. 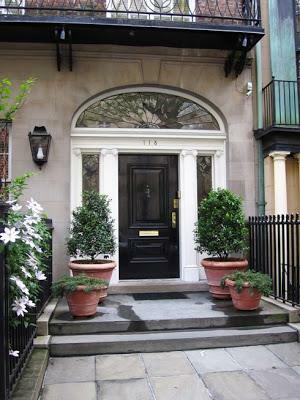 Flanking the front door with potted flowers or a unique shrub add additional interest too. 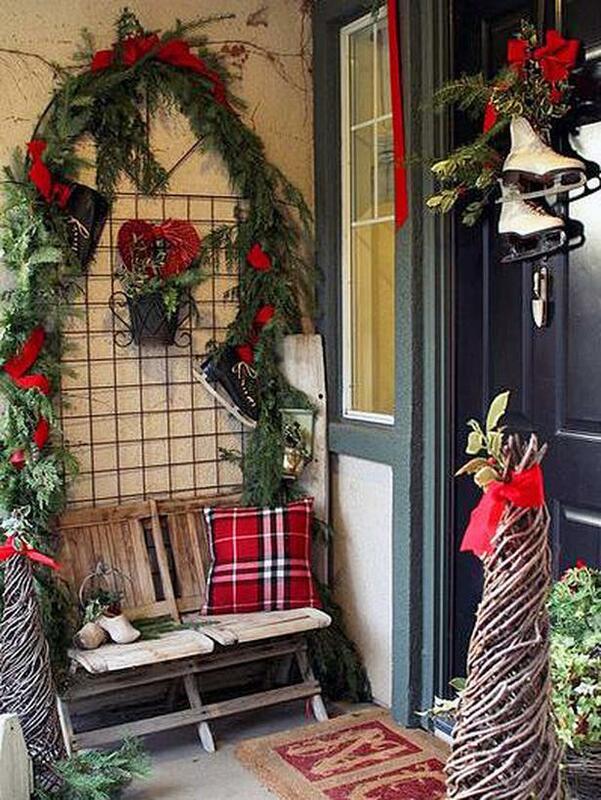 Perhaps a rocker of porch swing would be the perfect inviting touch. 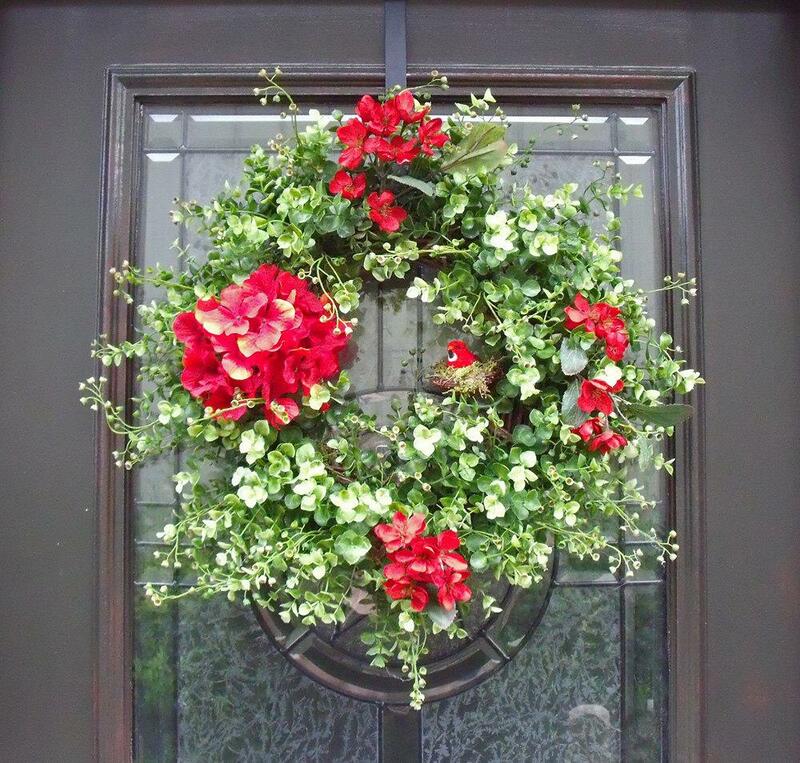 Look to sites such as Houzz or Pinterest for ideas for potted garden containers and wreaths and so much more.